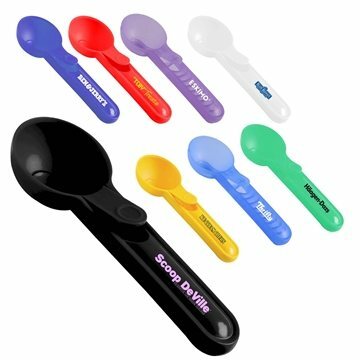 Sturdy design makes scooping out the hardest ice creams a breeze. Features push lever for improved release of ice cream. Item was precisely as displayed. Great service! Very good quality at a very good price that you were able to get it in the color we wanted and that it was imprinted with our logo. they look great. We are so happy. this is a great small give-a-way that is affordable and useful! We used this for a youth event. Great! We were skeptical about ordering products due to an unfortunate previous experience (from another vendor). simplicity is the key. Nothing fancy, just great quality.